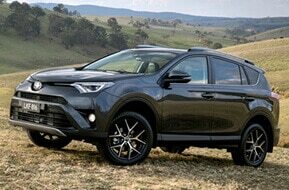 4×4 Car Hire is not just for winter, 4×4 is a phrase used to describe a wide range of vehicles whether they are Four wheel drive (4×4), All wheel drive (AWD) or 2WD SUV’s (Two Wheel Drive Sports utility Vehicles). Obviously the most common reason for hiring a 4×4 or SUV in the UK is the weather in winter, four wheel drive and all wheel drive vehicles cope much better. However thousands of 4×4 hire vehicles don’t get parked up and left in garages in summertime, they suddenly turn into large practical family cars, Especially for the holidays. There isnt a car on the road that can be full of people and still have enough space for all of those people to have some luggage with them, apart from a 4×4 or SUV. below is a list of vehicles that fall into the 4×4 category, models do vary with each supplier and no car type is guaranteed unless stated at the time of the hire. 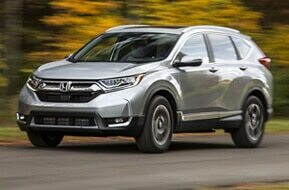 A sleek and sporty mid-sized SUV with a great design available with 2 or 4 wheel drive. It also carries the very popular and reliable Volkswagen badge which always helps. The car is stylish and powerful good for on and off road activities. An impressive heritage behind it, can it live up to the challenge? It most certainly can, it has a street smart design, sporty handing and versatility. It’s both rough and luxurious at the same time and is suitable for on and off road as well it is a 4×4. The enormously successful car that requires a minimal effort to drive, with its smooth four wheel drive system making it have decent ability for most users. 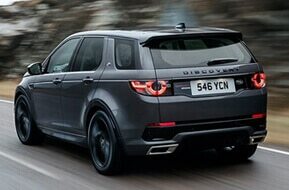 Its not the best off road car but it makes up for it with its executive design both inside and out. The huge Land Rover Discovery, it’s perfectly stylish and capable equipped with seating suitable for 7 adults, the car is unique and has great off-roading abilities as well as a luxury on road experience. Land Rover Discovery is truly a top of the range 4×4 car suitable for anything you want to do. Porsche. Have I said enough? This is one of Porsches bestselling models and rightfully so with an impressive performance and exceptional handling it’s suitable for even the toughest challenges. 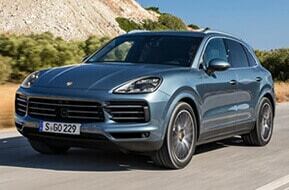 The way to describe the Cayenne is really your standard 4×4 has met the power of Porsche. 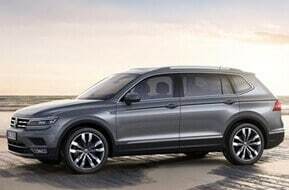 The mid-sized luxury SUV made by BMW, keeping with the standard mean BMW design they have increased the size of their standard range so that they are suitable for 4 wheel drive. 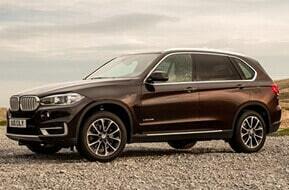 The spacious BMW brings power and sport to the 4×4 category, These are popular so dont leave it until the last minute. Thank you for finding the right car rental for me in the run up to a bank holiday weekend. I am most appreciative and grateful for the excellent and friendly service you provided.